Roswell Murray MacTavish, born in Regina, Saskatchewan, was the only son of Wilfrid Lawrence [editor in chief of the Vancouver Daily Province] and Edith Jane (nee McInnis) MacTavish of Vancouver, British Columbia. He had two sisters: Jacqueline Rice-Jones, 32, and Jeanette Hill, 28. He was named after his paternal uncle who died in the First World War. The family attended the United Church. 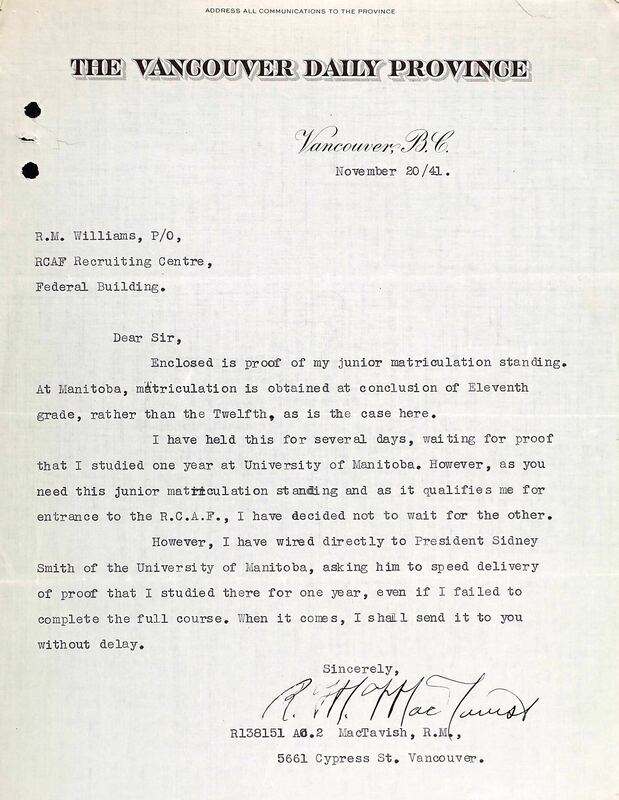 He attended the University of Manitoba and indicated he could read English, French and German well. He was employed a newspaper reporter/columnist for the Vancouver Daily Province for 3 1/2 years prior to enlistment in October 1941. He said that his "special hobby is writing or recording which involves knowledge of typing and necessity of increasing powers of memory." He enjoyed playing hockey, golf, tennis and badminton. He smoked 20 cigarettes a day and had the occasional social glass of alcohol. 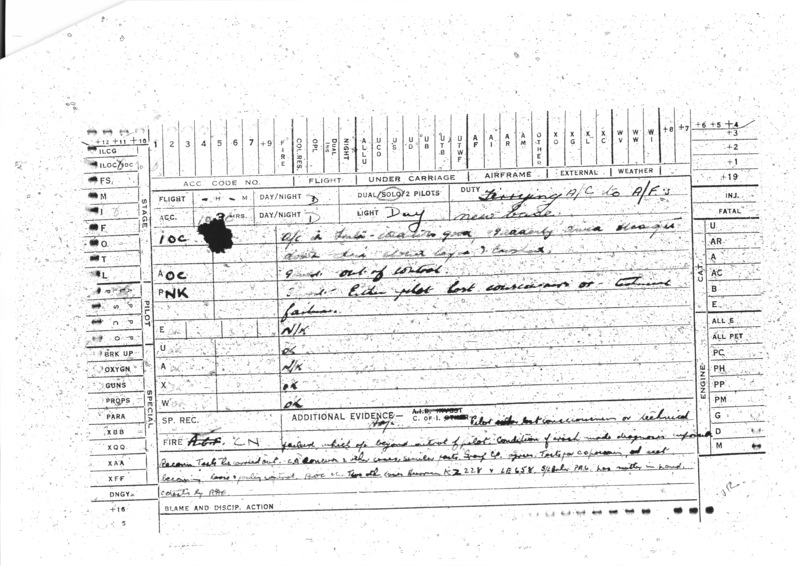 He was considered underweight, but "should gain in service." He was "keen, intelligent, quiet, non-aggressive type. Muscle balance borderline for pilot. 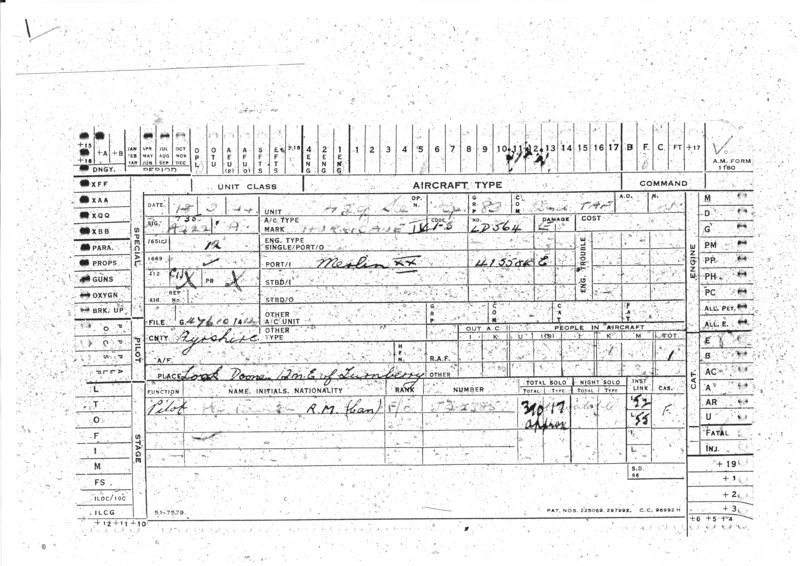 Good material for Pilot or observer." Other evaluations: "Alert and instantly responsive. Has had considerable responsibility for his years in newspaper work and has been successful." At No. 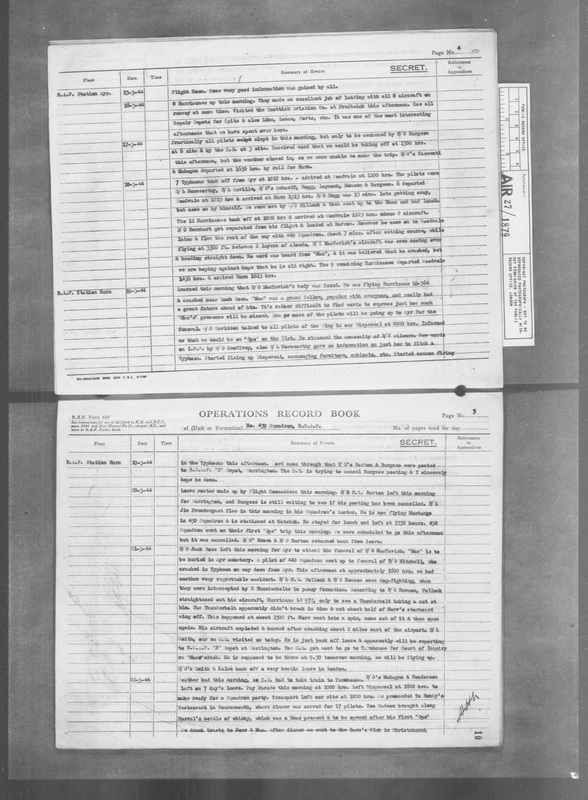 2 ITS: "One of the most cheerful airman in the flight. He had difficulty with mathematics, but by hard work, he obtained a good passing mark. He is a leader in the flight and good influence at all times. He is very keen to be a pilot and is willing to work hard to realize his ambition. He is recommended for a commission." At No. 2 EFTS: "Anxious to get ahead. Rather excitable. Flying will bear watching. Link March 67%." At No. 11 SFTS: "A very steady and dependable pilot, whose attitude is extremely good." 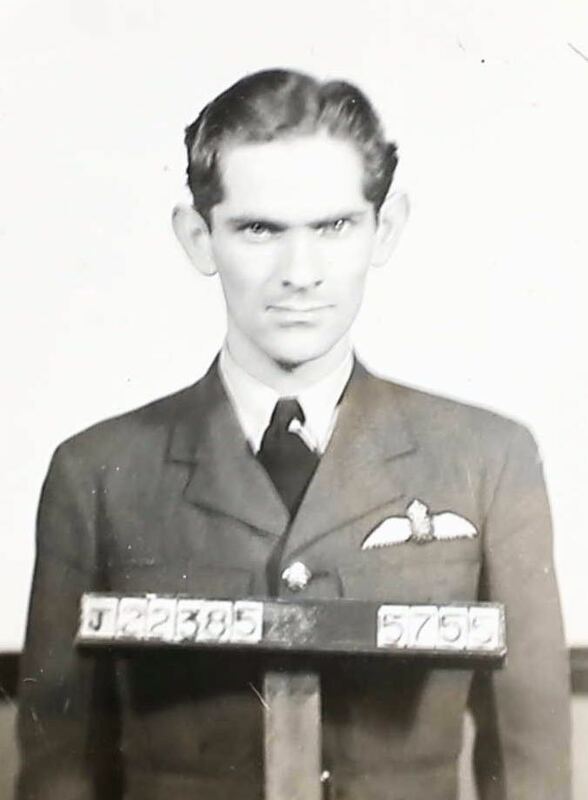 He earned his Pilot's Flying Badge on December 30, 1942. 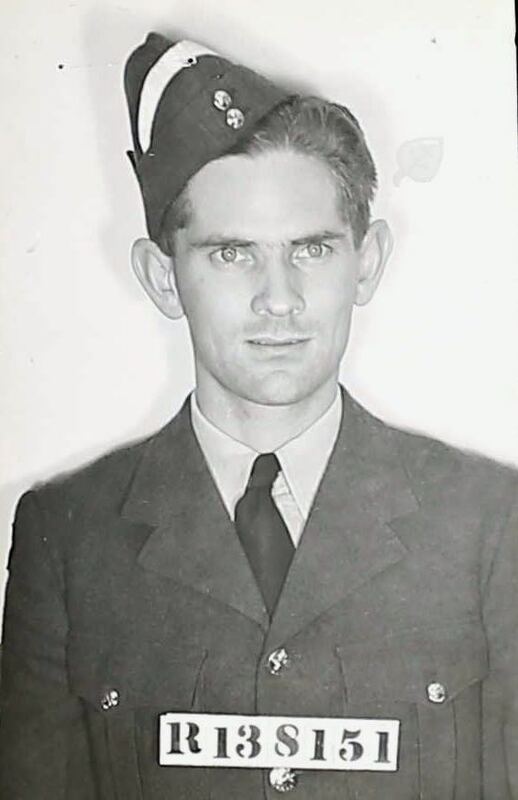 By November 1943, he was attached to 123 Squadron, Debert. At some point, he was attached to 439 Squadron. For more information about MacTavish, please visit the links below. 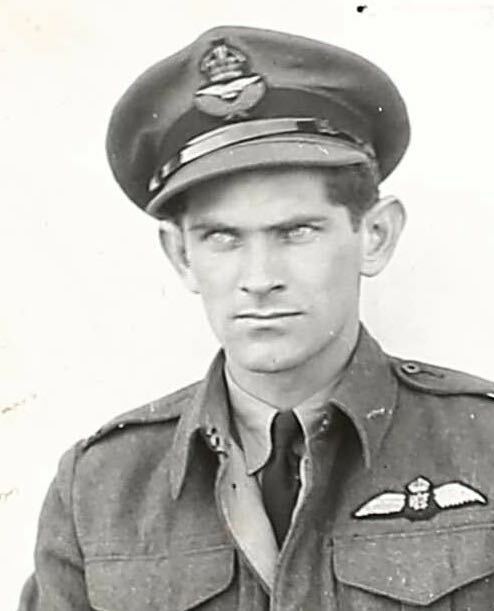 MacTavish was killed on March 18, 1944 as a result of a flying accident in a Hurricane (overseas) en route from Ayr, Ayrshire, Scotland to Hurn, Christchurch, Hampshire, England. After MacTavish's death, his father wrote, "Apart from his cap badge and his wings, and of course any personal belonging, his mother and I would be happy to have his uniforms and equipment given to the Officer's Kit Replacement Bureau."